Texas Children’s is the first pediatric hospital in the southwest United States to offer the EOS Imaging System, a state-of-the-art X-ray machine that provides three-dimensional, full body views of a patient’s bone structure while significantly reducing their exposure to radiation. Unlike a traditional X-ray that captures one small area of the body, EOS provides a life-size picture of the child’s full skeleton in a weight-bearing standing or sitting position to capture natural posture and joint orientation, which is critical for physicians to diagnose orthopedic conditions precisely. The EOS is used primarily to assess pediatric patients with spine, hip and leg disorders including scoliosis and leg length deformities. Unlike a conventional radiograph, this new technology is equipped with faster imaging capabilities. Clinic through put is enhanced by the EOS as the total exam cycle with EOS is under four minutes for the most complex spine exams compared to 15 to 20 minutes with conventional radiographs. One of the machine’s enhanced safety features includes low radiation doses. The EOS uses nine times less radiation than a conventional radiography X-ray and up to 20 times less than a computed tomography (CT) scan. Because of the low radiation dose, EOS imaging is beneficial for orthopedic patients with scoliosis and other spinal deformities who require frequent imaging to monitor disease progression. To learn more about this Nobel Prize-winning technology, watch this video of Drs. Dormans and Donnelly showcasing the high-tech features of the EOS Imaging System. At Texas Children’s Hospital, we go above and beyond to create a positive experience for our patients and their families. That experience includes everything from receiving excellent patient care to being able to navigate our facilities with ease. The latter is becoming more challenging with our continued growth, making it exceedingly important for our employees to help those who might be lost or having a hard time finding their way around our halls. To assist patients and families, digital directories have been placed in two of the busiest areas of the hospital – the first and third floors of the Clinical Care Center. On the first floor, a 48-inch monitor has been set up next to the information desk. On the third floor, three of the same size monitors are mounted on the wall between The Auxiliary Bridge and the information desk. All three monitors are touch-screen activated and feature a map of Main Campus, step-by-step directions to various locations throughout Main Campus, and information on our services throughout the Houston area. Technology used to power the directories track usage, data which Facilities Planning and Development will use to evaluate feedback and overall performance of the information. If the feedback is positive and the data points to the signs as being useful, more will be placed in high-traffic areas throughout the organization. In the meantime, please continue to help our patients and their families find their way to wherever they are going whether that be to an appointment, a parking garage or to grab a bite to eat. Your help truly makes a difference. Texas Children’s Hospital The Woodlands is on Facebook! Like them today to receive the latest news and updates about our convenient care options in The Woodlands and the construction of the area’s first true free-standing pediatric hospital designed, equipped and staffed exclusively to treat children and adolescents. Once completed, the facility will be a 560,000-square-foot complex and will offer inpatient and outpatient specialty pediatric care. Facilities will include 72 exam rooms, 25 Emergency Center exam rooms, 28 critical care rooms, 32 acute care rooms, 12 radiology rooms and four operating rooms. Texas Children’s Hospital The Woodlands will open its doors to outpatient care in the fall of 2016 and inpatient services the following year. Along with serving families throughout The Woodlands area, Texas Children’s anticipates serving families in counties throughout Greater North Houston, including Montgomery, Walker, Grimes, Liberty, Harris, Polk, San Jacinto and Hardin. Meanwhile, families in The Woodlands can get convenient care at various locations throughout the community, including Texas Children’s Health Center – The Woodlands, Texas Children’s Maternal Fetal Medicine – The Woodlands, and any of the area’s six Texas Children’s Pediatrics practices. The American Society of Hematology (ASH) recognized three researchers from Texas Children’s Cancer Center and Baylor College of Medicine for their work in advancing our understanding of disease pathogenesis and exploring novel innovative approaches for the treatment of pediatric cancers. Dr. Rikhia Chakraborty, instructor of pediatrics and part of the Histiocytosis Research Lab at the Cancer Center, received a 2016 Basic Junior Faculty Scholar Award for her study investigating disease pathogenesis of Langerhans Cell Histiocytosis, a disease that occurs when the body accumulates too many immature Langerhans cells, a type of white blood cell that normally helps the body fight infection. Scholar awards support fellow and junior faculty dedicated to careers in hematology research as they transition from training programs to careers as independent investigators. The award is for $150,000 over two to three years. Dr. Maksim Mamonkin, a postdoctoral associate in the Center for Cell and Gene Therapy, received a 2016 Basic Research Fellow Scholar Award for his study on developing targeted therapy to treat T cell malignancies. This research award will provide $100,000 over two to three years and will support transition from training programs to an independent investigator career. Dr. Rayne Rouce, instructor in the Center for Cell and Gene Therapy, has been named a 2016 award winner of the ASH and the Harold Amos Medical Faculty Development Program of the Robert Wood Johnson Foundation. She delivered a presentation on her work, which focuses on immunotherapy for the treatment of pediatric cancer. She will also receive a $400,000, four-year grant to further her work. In support of Promise: The Campaign for Texas Children’s Hospital, Texas Children’s and ABC-13 have joined together to highlight amazing stories from the hospital. The stories – many of which will showcase the excellent work you do – will air at 6 p.m. on select weekdays and can be found on ABC-13’s website. 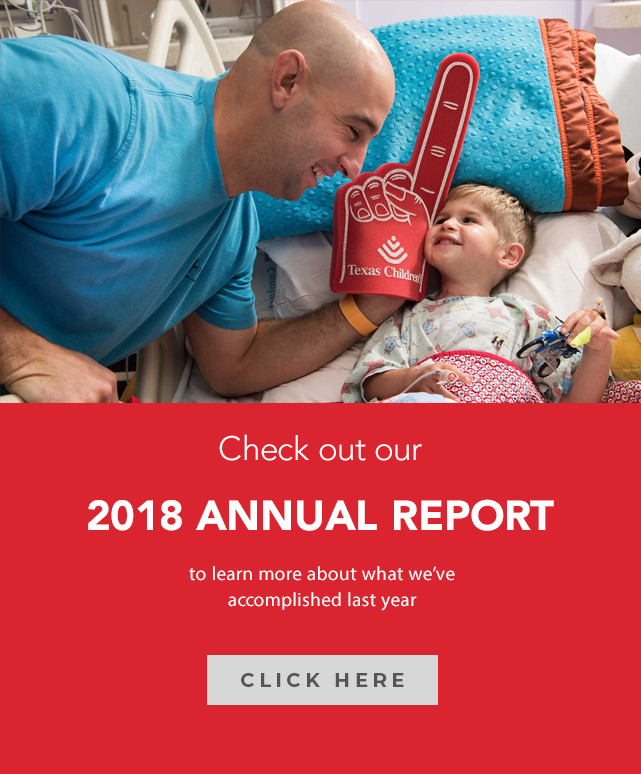 The goal of Promise is to raise $475 million to help the hospital address current challenges and anticipate patients’ needs now and in the future. 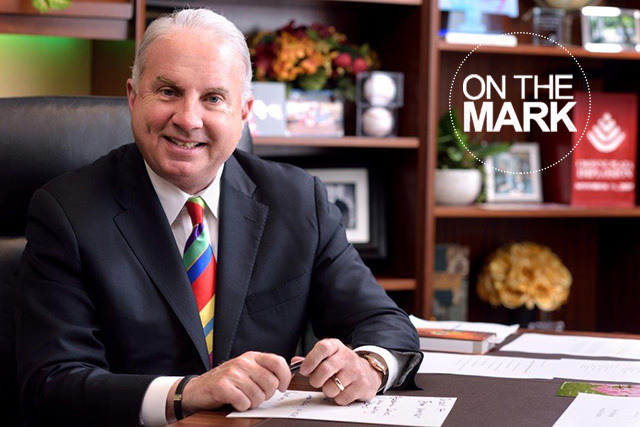 The money will provide support for five key areas: expanding our critical, surgical and emergency care services through the construction of the new Pediatric Tower, construction of Texas Children’s Hospital The Woodlands, establishment of endowed chairs, ongoing support for our divisions and centers of excellence, and charity care. 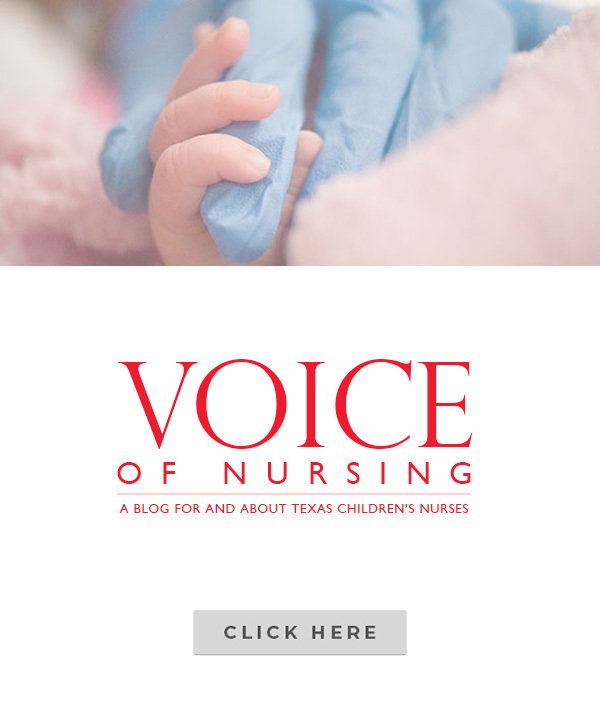 As employees of Texas Children’s, you too can help us offer hope, comfort and healing to children in this community and around the world by making a promise of your own. Until November 27, ABC-13 will match individual donations to the campaign dollar for dollar up to $100,000. Don’t miss this incredible opportunity to double your gift and further change the lives of children in our community and beyond. Donate today! To learn more about Promise, click here. If you ask Nakeisha Archer, president-elect of the Greater Houston Chapter of the Association of periOperative Registered Nurses (AORN), who inspired her to pursue nursing, there’s one person who comes to mind – her grandmother. After graduating from nursing school with several clinical rotations under her belt, Archer spent six years as a labor and delivery nurse, which included a few years as a travel nurse. Before obtaining her MBA in health care management, she realized her niche was in the operating room (OR). As assistant director of Perioperative Services at Texas Children’s Pavilion for Women, Archer leads a dynamic team of more than 40 nurses who assist with the planning, implementation and evaluation of patient care before, during and after surgery. These activities include patient assessment, creating and maintaining a sterile and safe surgical environment, providing pre- and post-operative patient education, monitoring the patient’s physical and emotional well-being and working closely with the surgical team to provide safe patient care during each phase of the surgical care process. Archer also collaborates with her non-nursing team whose roles are critical to the perioperative process. These include secretaries who schedule new cases, surgical technologists who scrub the cases, and perioperative care technicians and anesthesia technicians who provide specialized team support. The Pavilion for Women has four Main OR’s, two OR’s in labor and delivery, one procedure suite in the Main OR, and two procedure rooms in the Reproductive Endocrinology and Infertility Clinic. Two more Pavilion for Women Main OR surgical suites will open in May 2016 bringing the total to six OR’s to meet the increasing demand for perioperative services. Archer says the need to hire and retain experienced perioperative nurses to fill these new positions is one of her top priorities. She says the best way to home “grow” our nursing staff is by providing consistent educational tools and internship programs to cultivate their skills so they can easily adapt to this fast-growing nursing specialty. Since joining the Pavilion for Women two years ago, Archer is thrilled to offer the second perioperative internship program for nurses later this month. This endeavor, which will continue every six months, is part of a joint partnership with Texas Children’s Pediatric Perioperative Services. When Archer assumes her position as AORN president in May, her passion to advance educational opportunities for nurses will be one of her primary goals. Leading a multi-generational nursing workforce has become a tremendous challenge too. Archer plans to collaborate with nursing leaders to help reframe perceptions about generational differences and to view these attitudinal and behavioral differences as potential strengths. While much of Archer’s day is spent attending meetings, rounding with nursing and physician staff and staying abreast of all the cases scheduled for each day, she says at the end of the day, her greatest joy is taking care of her patients – just like her grandmother did. From exploring the metabolic factors impacting egg quality to the genetics of embryo implantation, researchers at the Family Fertility Center at Texas Children’s Pavilion for Women are engaged in several studies to help infertile couples achieve successful pregnancy outcomes. For couples struggling to get pregnant, often times their only hope is through in vitro fertilization (IVF) in which a healthy embryo is transferred to the uterus for implantation. If the window of implantation has passed – the crucial time when the endometrium or inner uterine lining releases chemical signals that allow the embryo to attach – the chances of getting pregnant are very slim. In collaboration with Dr. Carlos Simon from the University of Valencia, Spain, Drs. Gibbons, Paul Zarutskie and Cecilia Valdes are exploring the use of Endometrial Receptivity Array (ERA), a biopsy that analyzes the DNA patterns of more than 240 genes in the endometrium to determine when it is the most receptive to obtain a successful embryo transplant. For some women, this fertility window can be earlier or later than the typical window of implantation. In addition to ERA, Dr. Neil Chappell is spearheading a study to see if marker proteins in cervical mucus can evaluate the optimal timing of the implantation window. Drs. Amy Schutt, Cecilia Valdes, Chandra Yallampalli and Farook Jahoor will examine the effects of protein restriction on egg quality before pregnancy occurs. In rats, a diet low in protein appears to reduce the egg’s ability to protect itself from damage by affecting the metabolic pathway responsible for producing antioxidants. This study will determine whether a diet rich in protein optimizes egg health and development. Drs. Schutt and Jahoor will investigate the effects of obesity on female fertility by studying the granulosa cells collected during IVF. These cells feed signals to the egg during the maturation process. Their hypothesis is that obesity-induced inflammation and oxidative stress markers are increased in obese women compared to normal weight women, which may affect female fertility. Drs. Zarutskie and Jessie Rubin will examine the impact of insulin and carbohydrate metabolism on the well-being of women in general, and specifically on their potential for fertility. Previous studies show insulin resistance can be present in lean and obese women with polycystic ovarian syndrome, indicating other factors may impact the imbalance in the insulin/glucose mechanism. For women diagnosed with cancer, deciding whether or not to proceed with fertility-saving procedures before chemotherapy or radiation treatment can be difficult. Dr. Terri Woodard, a fertility specialist known for her extensive work in fertility preservation, is developing an interactive computer-based decision aid for women with cancer. The website’s content will be driven by patient feedback obtained from focus groups and individual qualitative interviews, as well as feedback from oncologists. While these are snippets of fascinating research underway, click here to learn more about our Family Fertility Center at the Pavilion for Women.